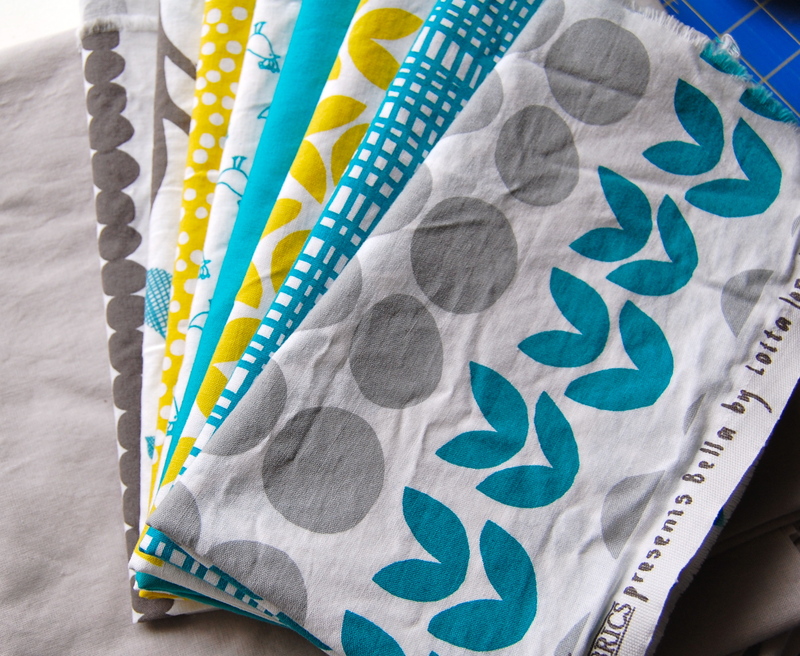 I don’t know if I have ever used a single fabric line in any of my quilts. I’m generally more of a “mix and match” type of quilter, but this Lotta Jansdotter Bella line just works so beautifully together, I couldn’t find anything else it needed. Oh how I love those prints and colors. I decided to keep my palette limited and just go for the tealy blue, yellow and gray. Okay, I did throw in a couple of solids from my Kona stash- does that count?- and I was ready to begin a new design. 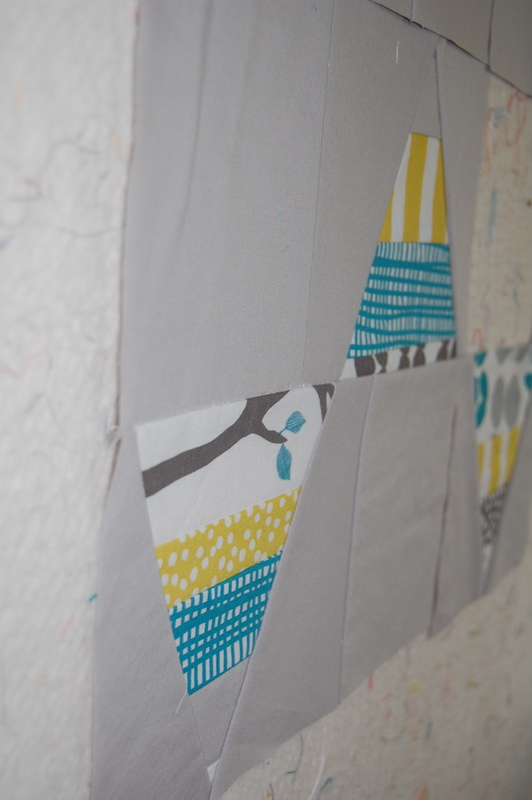 I can’t seem to get triangles off my mind after seeing this quilt a few months back. I’m not exactly sure what I’ll do with them yet!! For now, I’m just enjoying the process of design and playing around with different layouts. I just love this part of the process of quilting!!! 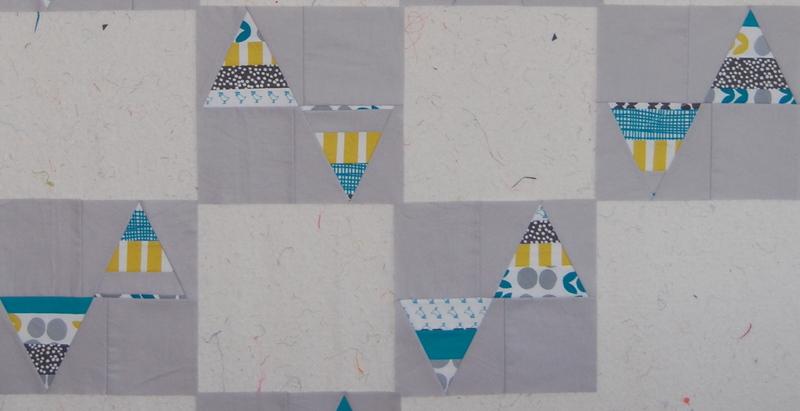 Love, love, love this ~ triangles = too cool Karen! I love the colors! I need to cut into my Echo so I can move on to the new line. Your triangles look great and I love that new line. I can’t wait to get my hands on some. I think this is my new favorite color palette!! Love the triangles. 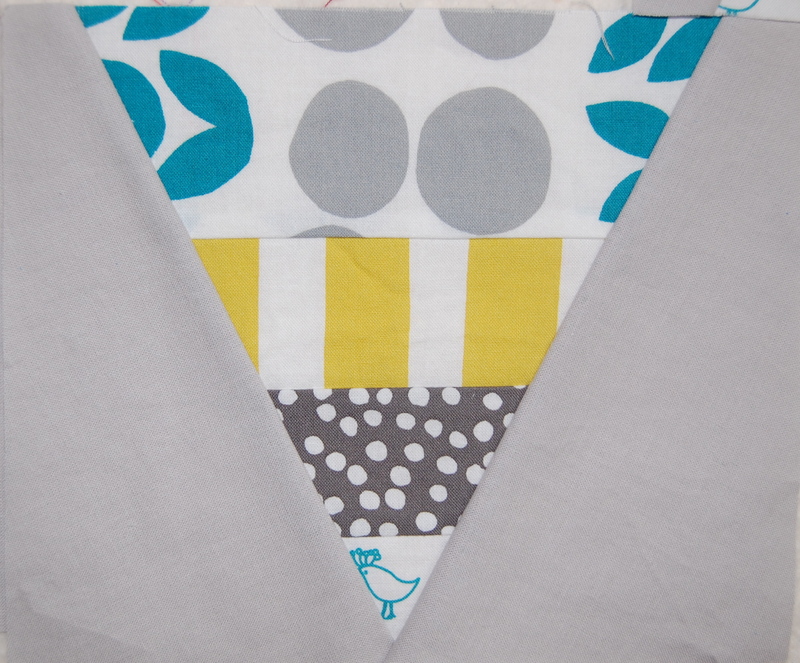 Look forward to how you quilt it!! This looks like a whole lotta fun! 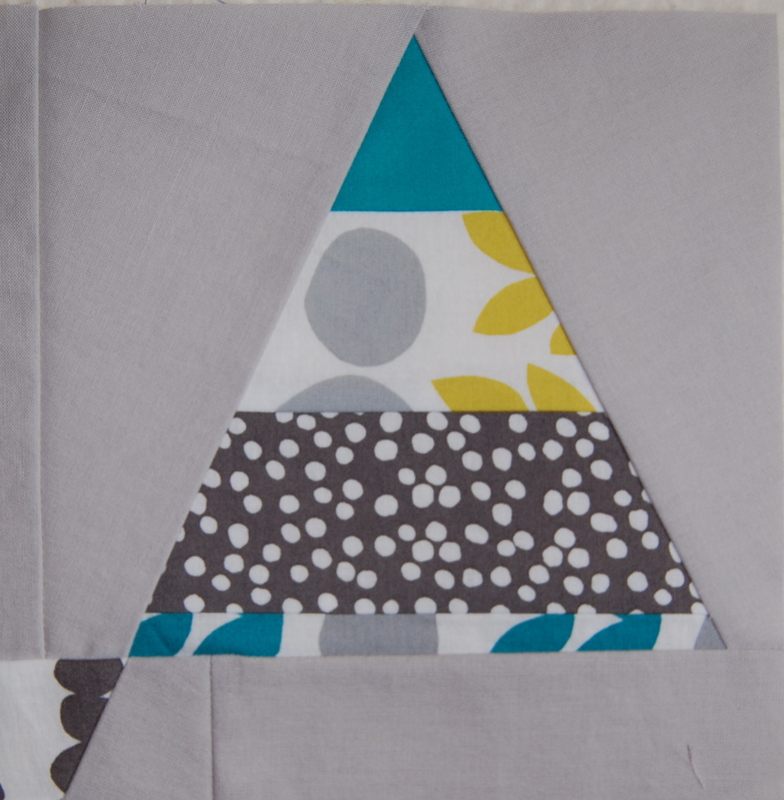 Love the triangles and the Bella fabric! Looking forward to seeing how the quilt turns out!